“What’s your position? I can’t lock in” the words from a favorite childhood video game come to mind when I think about movement. Moving targets are hard to hit. During a sparring match constantly moving is to your advantage. When you stand still, you’re just a punching bag for your opponent. Fridays are sparring days at our Kuk Sool Won martial arts school in Dublin, California. My kids attend an afternoon session and I go in the evening. Last Saturday my husband also took his first sparring class on a Saturday morning. Our house is filled with training paraphenalia, mats for falling, targets for kicking, a Wavemaster for punching and kicking and of course four sets of sparring gear. Despite the fact that our sparring is light contact only the gear comes in very handy to protect against the occasional wayward punch or a kick that packs slightly too much power. Bruises are part of the process I’ve discovered. The ultimate goal though is to improve speed, tactics, techniques and fight sense. Sparring draws all the self-defense elements together in a simulated threatening situation and teaches you to respond effectively to whatever comes your way. Every student has a unique approach to sparring. 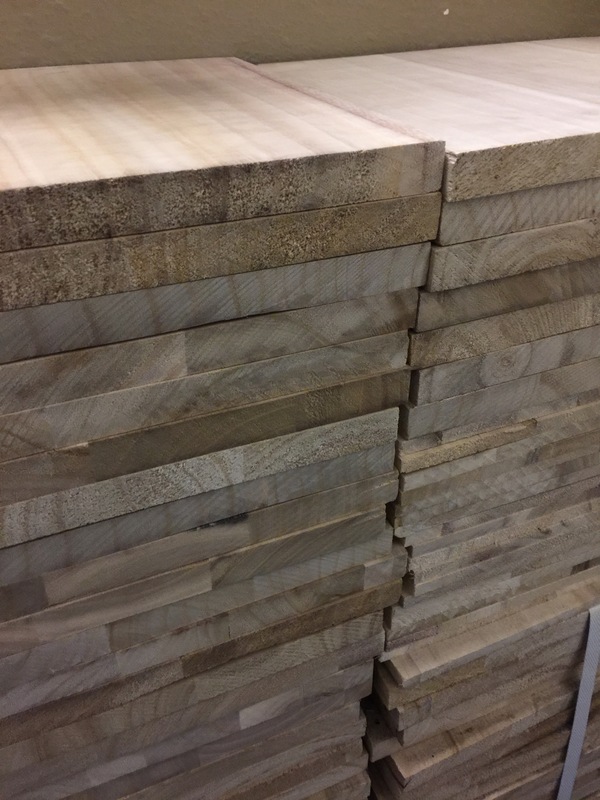 Build plays a role as the taller students have increased reach with their long limbs while the shorter students can use speed to leverage opportunities as they appear. I was in the middle of my fifth round when Master Saidi stopped me to give some feedback. “You need to loosen up” he said “you are not aiming to take him down with each shot. Be lighter on your feet. You have the potential to be great at sparring but your body is too tense.” It was useful to get constructive input. Moving has always been my achilles heel. Both on the tennis and squash courts my husband used to tell me to move my feet and that was about twenty years ago so this message was not new. What to do about it now was a different story though. I want to get better at sparring and now I know that in order to do so I have to undo a lifetime of thinking that I am too heavy to move faster or be lighter on my feet. Even as a skinny kid I used to drag my feet as though gravity has an extra pull on me. It’s time for a dramatic shift in thinking. Is it possible after so long? I have to believe it is. 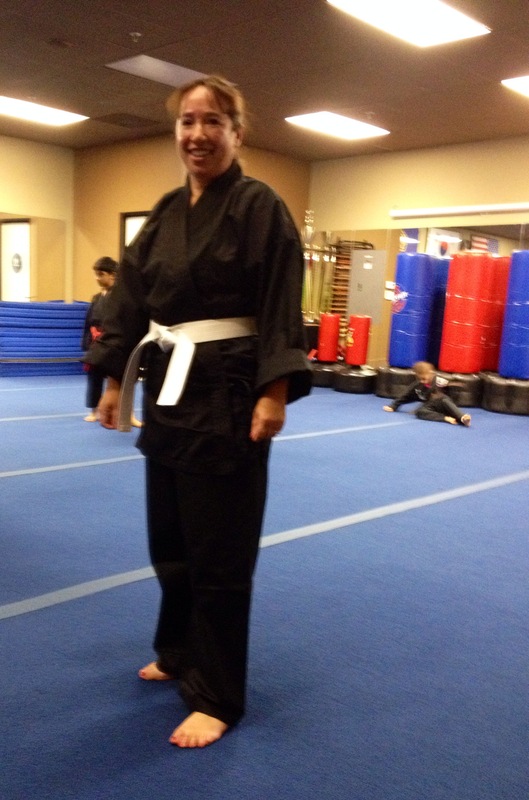 Unlike Master Choon Ok Harmon, the Iron Butterfly who started practicing Kuk Sool Won when she was 14 years old and is now the highest ranking female Master, starting out in Kuk Sool in mid-life has different challenges. Clearly she can float like a butterfly and sting like a bee! At least since my name means butterfly I have some connection to the concept but the floating is going to take concerted effort. When training your body to do something it has never done before there are no shortcuts. It will take patience, practice and perseverance and fortunately those elements are also part of the philosophy of being a Kuk Sool Won practitioner. One mind focused…nothing impossible! 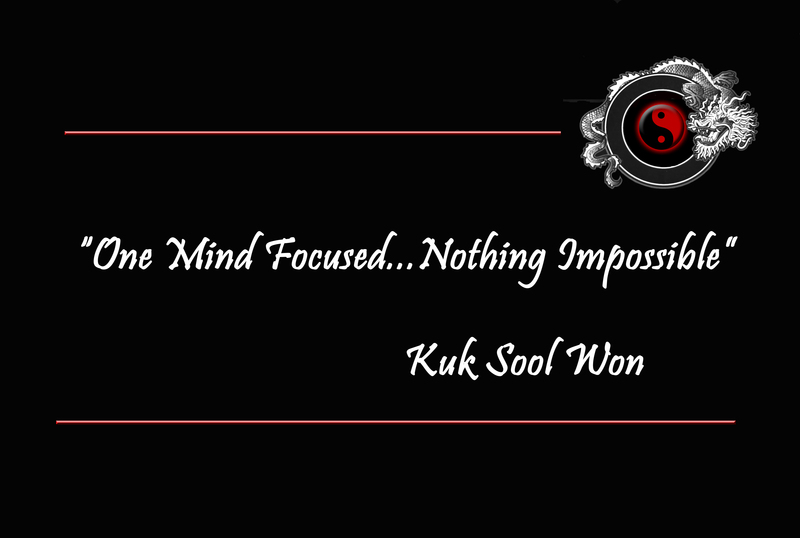 Kuk Sool Won wins! It’s strange to think how much time we spend going to and from the dojang. 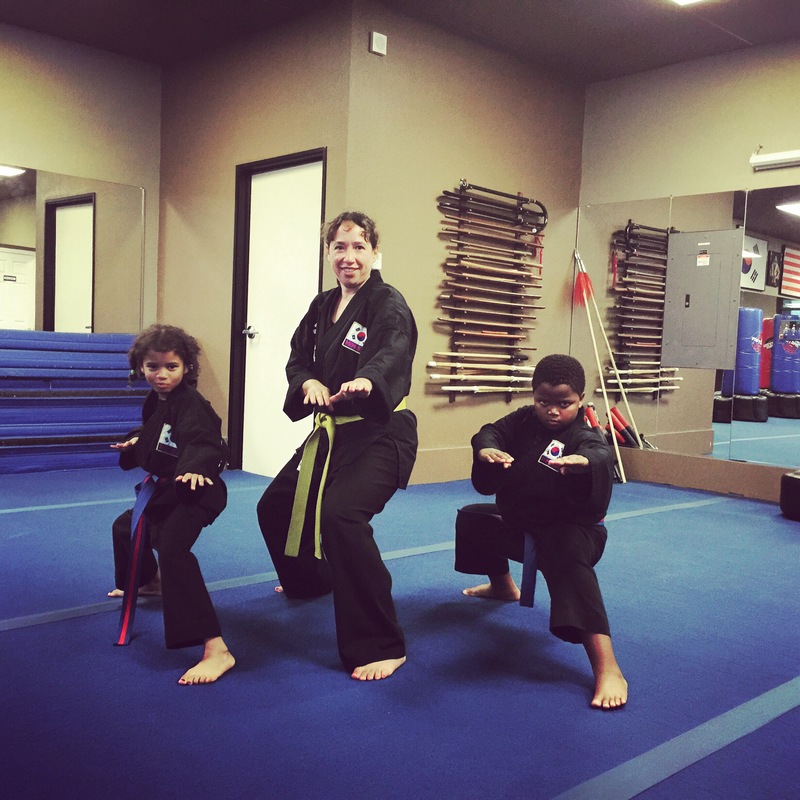 Kuk Sool Won has really become such an integral part of our lives and both my kids and I are loving it! Reminds me of an image I saw recently – Eat, sleep, Kuk Sool Won, repeat! Our classes alternate so effectively we are at the dojang 6 days a week due to the extra tournament training classes. I jokingly said that we might as well put up a tent outside! 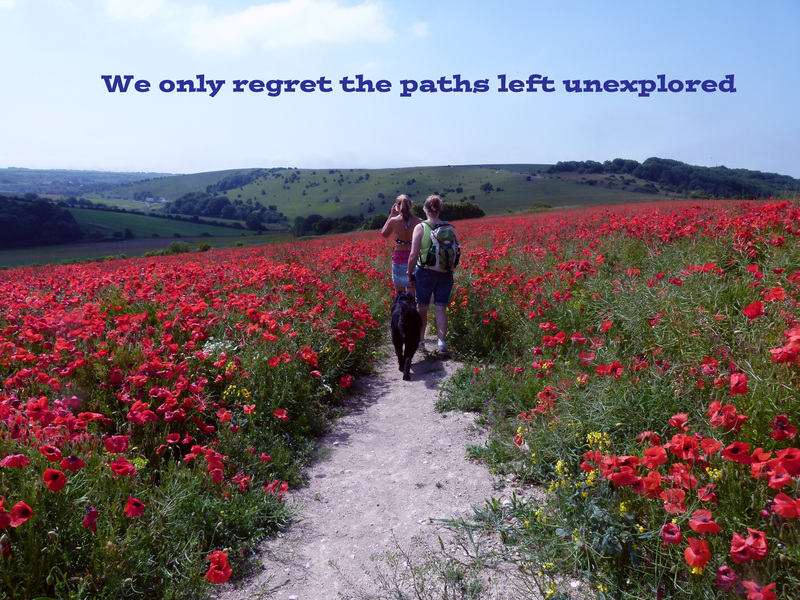 Other unusual behaviours have also permeated our daily lives. In the morning my daughter greets me with a “parro” cuddle. “Parro” in Korean means to return to the original position. My son and I pass each other and he tries techniques on me while practicing to kiai. As I walk through the house I aim at the height of the light switches when practicing my kicks. Since Kuk Sool Won is a Korean martial arts system, the Korean words we hear in class have become part of our daily dialogue. Clearly Kuk Sool Won wins at ours! I wondered about this profound influence and realized that at the heart of it is a passionate teacher and a martial arts school that has a nurturing and family friendly atmosphere. 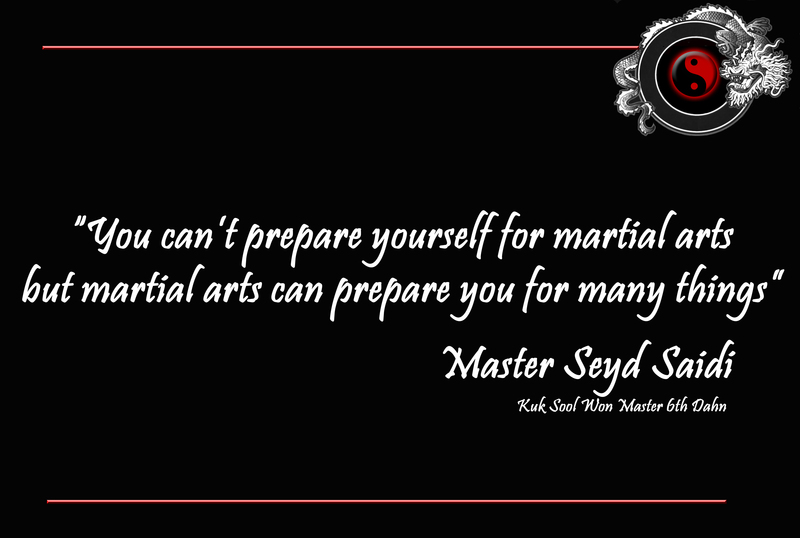 Master Saidi clearly loves what he does and connects with his students in a way that helps them reach their full potential. It’s wonderful to have found a martial arts teacher who is humble and caring while also being able to drive his students to be the best they can be. He also has a knack of saying rather profound things while he teaches so is an excellent source of writing fodder! Thousands of students have been through his school over the past 25 years and each one has been changed in the process. Many things can influence the decision to start martial arts training but choosing the correct teacher is the most critical element. In my personal journey I have not always been positive about my aging body and have often been rather unkind to it. I have never been good at sports. I never thought that I would be capable of doing this martial art until “Sir” as we respectfully call him, convinced me otherwise. On Wednesday I was tested along with my training buddy Vineela and another charming young woman and we got promoted to the next belt! 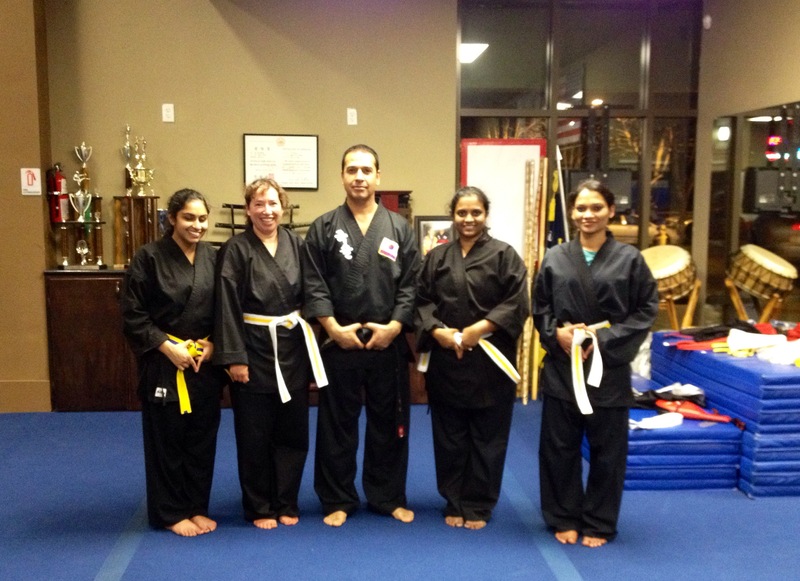 I now have a yellow stripe on my white belt! My first sporting achievement at 44 years old! Several people, including Mums on the school run have stopped me to ask what I am doing to look so good. But it’s not only the external that has been transformed – internally I feel like I have rekindled the flames of ambition that peaked in my youth. Was it mere coincidence or serendipity that my martial arts journey began in the same week of the Seth Godin, Your Turn Challenge? I think not – it seems more like divine intervention. I got connected to a dynamic group of change makers at the same time that my eyes were reopened to the joy of making a difference and the inspirational value of being part of something bigger than myself. “What are we doing today Brain? The same thing we do every day Pinky – try to take over the world!” That used to be my mantra while at university. Today I feel more driven than ever to bring out the best in people and encourage them to pursue their goals. I spoke to a Mum outside the dojang while waiting for my son to finish training. She asked me about the class – it was not the first time she did. Tonight she is taking her first step to reach her goals – she is joining me in class! Saturday I received a t-shirt from Master Saidi that has the inscription – “One mind focused…nothing impossible! ” Says it all really. Passion breeds perseverance and drives us to fulfill our dreams. “Everybody in Uganda is Kung Fu fighting” – this article by Elizabeth McSheffrey caught my attention. It’s seldom that we hear the good news stories from Africa on this side of the ocean but this one made it. The local film industry, also known as “Ugawood,” has been steadily growing thanks to new infrastructure and resources and has spawned a new fascination with martial arts. 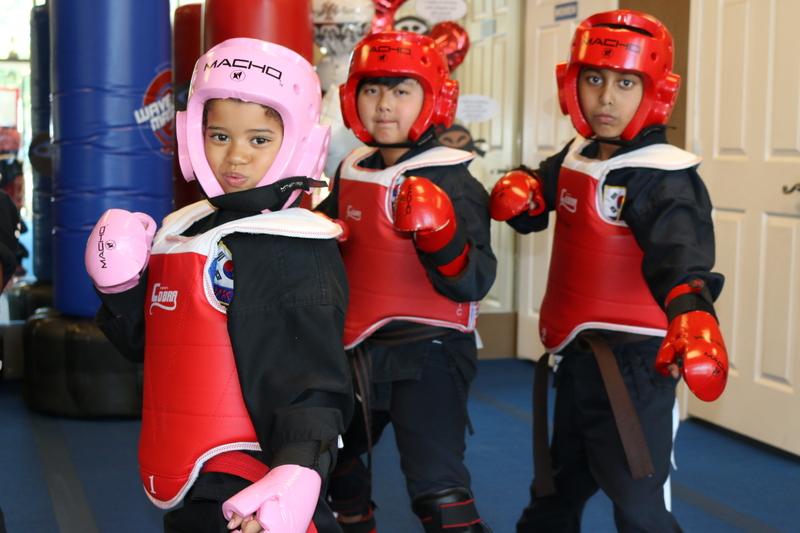 Seeing the images of these children finding new hope through a martial art is rather inspirational as well as hearing their stories of commitment to improve themselves. 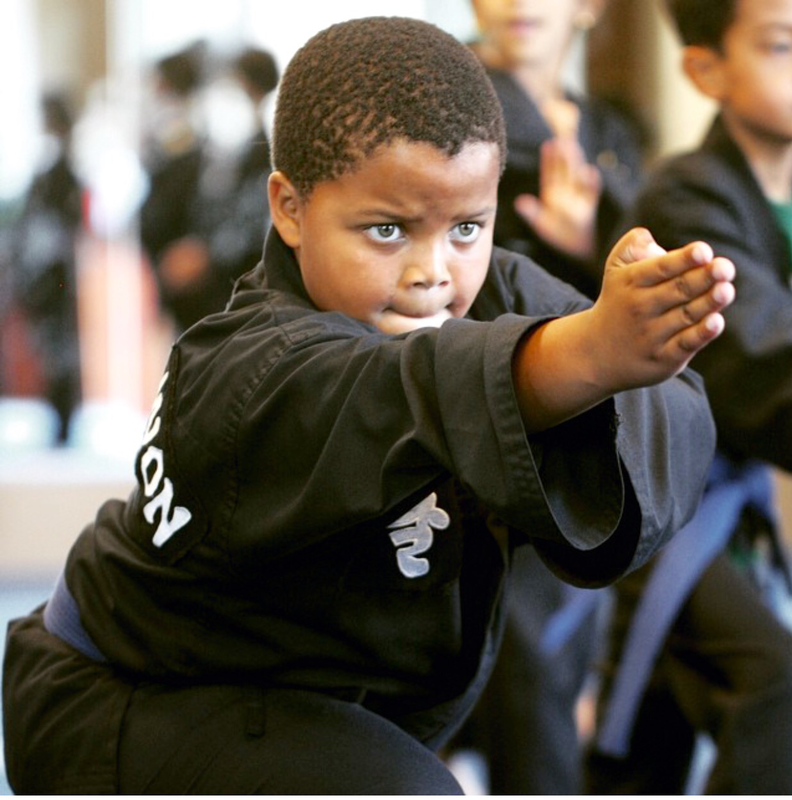 Across the ocean in North America, with children who are far more affluent, martial arts is equally inspiring and motivational. Modern parenting comes with the expectation that we adequately prepare our offspring for all the challenges that their futures hold. It’s a lofty goal and somewhat unreasonable. We can however provide them with some fundamental approaches to life that will help them to face any eventuality. I see the positive results in my children who have been learning this traditional Korean martial arts system for a year now. My somewhat shy and very loving son has connected with something he excels at when schoolwork is often a battle for him. Education can happen outside of the classroom too. He has matured enough to now lead warm-up at martial arts so it has done wonders for his self-esteem. My spirited daughter has been inspired by the powerful female role models she has encountered. There are two female Kuk Sool Won black belts we respectfully call Ma’m but since they are still confidently and unapologetically feminine she has a different view of ‘pink, pretty and powerless’ being the only options for girls. She has encountered real life girl power and thoroughly enjoys going to sparring class in her pink sparring gear. Meanwhile another young girl Rachel Nattembo rushes to her Kung Fu class in Uganda. Racheal also leads her peers through a kung fu routine in the school yard of Nateete Mixed Academy in Wakaliga, Kampala. This young martial artist played “Liz” in “This Crazy World,” a 2014 action flick by Ramon Film Productions. Such contrasting settings, so many inequalities but as Bruce Lee said, “under the sky, under the heavens there is but one family..”.